I keep variants of this tea stock on my stove top through the fall and the winter to support the wintertime health of this family. Ginger is a long-used natural remedy for supporting your body against cold and flu. I feel better when I am drinking it regularly and drink it with more purpose if I feel a bit of a cold coming on. Right now, the ginger sits on my stove top with a bit of fresh turmeric as well, which I add whenever I am lucky enough to have it. 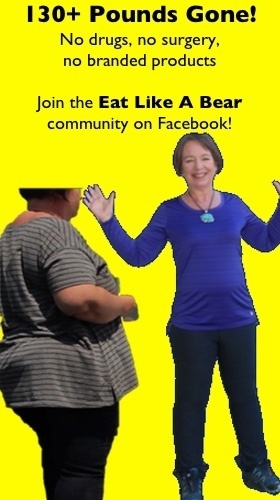 You can find much more about turmeric as you explore this website. 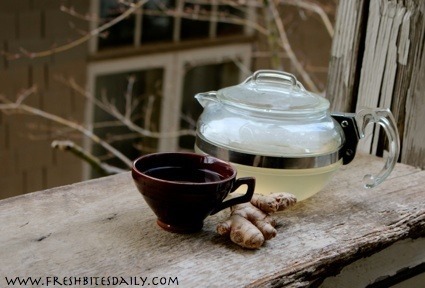 As for the ginger tea, nothing could be more simple: slice or grate your ginger and put it in a saucepan of water. Bring the water to a boil, place a lid on the pan, and turn off the heat. Let it sit for a half hour or, better yet, over night. There is no “right” or “wrong” with ginger tea. Thin-slice a two-inch length of ginger root, skin and all. Place it in a saucepan. Add about six cups of water. When you’ve used all of the liquid in the saucepan for your tea, add more water to your ginger and re-use the ginger to make more tea. I use the same ginger a few times and then add more fresh ginger to it when it looses its punch. I usually make this tea in the evening while I’m cleaning the kitchen so that it can sit all night and be ready for the next day. I toss out all of the used ginger every week or so and start fresh. If you are also cooking with fresh ginger (excellent, you’ve discovered the joys of ginger in your food), you know you need to peel it before dicing it and adding it to your stir fry. You may painstakingly peel around all of the little nubs on the root so that you don’t waste your ginger. Not being wasteful is, of course, excellent but here’s a better idea: peel your root, cutting those nubs off completely and putting them in the discard pile with your peels. Now put the ginger peel and nubs in your saucepan and make your ginger tea while your cook up your stir fry. 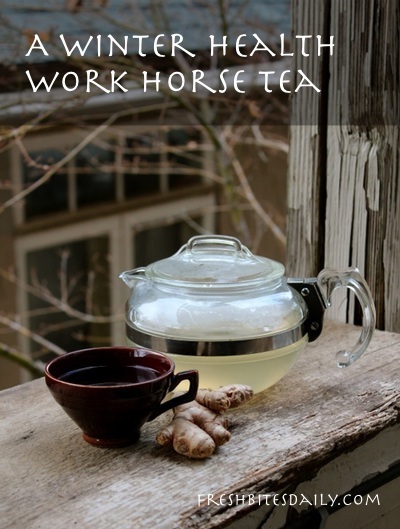 A recipe for homemade ginger tea. Thin slice the length of your ginger root. There is no need to peel the root. Place the sliced ginger root in a pot, pour over boiling water, cover with a lid. Strain the solids from the liquid, retaining the liquid as your ginger tea.